Our July trip was the first CMIRC visit with the new 2-day format, and it was a great success. 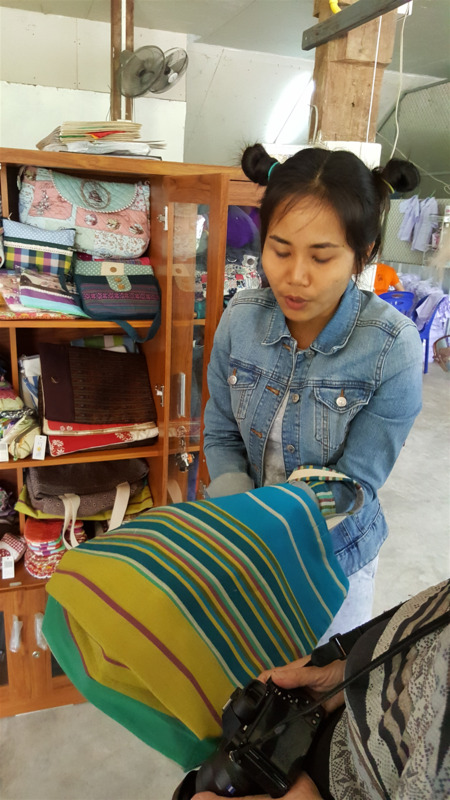 On Thursday the 27th of July we spent the day with “Help without Frontiers.” After a thorough briefing by HwF director Siraporn (Ann) Kaewsombat, we were treated to a tour of their Happy Tailor Project, which creates jobs and provides excellent products for sale (pictured below). They are currently making the school uniforms for migrant learning centers. Following a delicious Burmese lunch at Mae Sot’s famous Wadee restaurant we toured two of the migrant learning centers supported by HwF. Both are seriously underfunded and need many kinds of support. On Friday the 28th we toured the Mae Tao Clinic. The morning started out in the old clinic where we met Dr. Park, a Korean medical doctor who specializes in acupuncture. After a bit of confusion regarding our tour guide, none other than Dr Cynthia herself happened along and immediately found us a new guide. The woman is everywhere! CMIRC members and friends toured Mae Tao Clinic Last week. 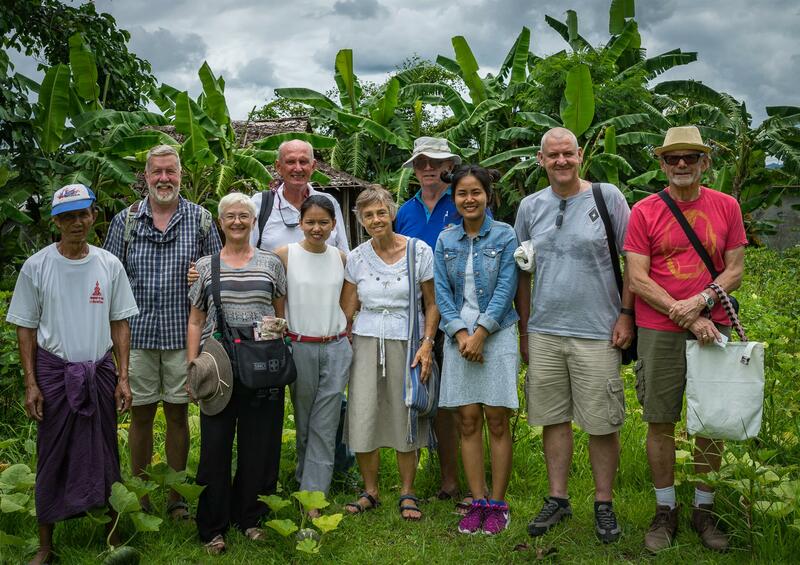 From Left: the Happy Tailor gardener, David Haines, Raelene Haines, Glen Cermak, HwF director Ann Kaewsombat, Janet Greenleaf, Jerry Nelson, the Happy Tailor manager, Glen Ovens and Tom Alibrandi. While the majority of the Mae Tao services have moved to the new campus, acupuncture and the prosthetics lab remain at the old campus. Also, the old campus has been turned into a training facility. The lease on the land at the old campus will expire in late 2017. Next we toured the Child Development Center (CDC) where our travellers learned about the needs, challenges and successes of this facility. There are currently over 800 children attending the center, and about 50 reside there. They are in the process of establishing a G.E.D. curriculum which will be offered to all the qualified migrant children in the area. After lunch we toured the new campus and met with Mae Tao Staff. Ongoing efforts include the establishment of a Mae Tao Wish list. More about that will be announced at a later date. The next tour has not yet been scheduled but it will likely be in September or October. Thank you for supporting CMIRC!